If enough of your lenders agree, an IVA can freeze your interest and reduce your monthly repayments to an amount you can afford. An IVA is designed to help clear all your unsecured debts - although you may have to remortgage to release equity in your home. Once you're in an IVA, you won't need to deal with your lenders anymore and they won't be allowed to take legal action against you, as long as you uphold your side of the agreement. Complete the form and a friendly advisor will call you back to discuss the best way forward. As part of our service, Freeman Jones Limited would like to send you updates about the latest products & services that may be of interest to you. You can opt-in below by simply selecting how you would like to receive updates from us. Tell us what kind of debt problems you're facing - and we can tell you if an IVA looks like the best way for you to get out of debt. Even if an IVA isn't the best approach, our experts can explain your options and put you in touch with people who specialise in other debt solutions. If you choose to take out an IVA, fees will be applicable. To read the key facts about our services and fees and discover how they work click here. Complete the form and we'll call you. "Very helpful & efficient service with great communication. It made the whole situation a lot more stress free!!!" First of all, we can listen. Tell us about your finances. 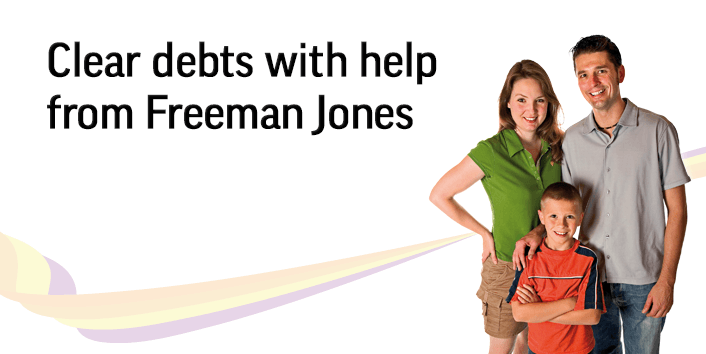 Tell us where you stand with your debts and we'll tell you if we think an IVA really is the best way of tackling them. Be aware that lenders aren't obliged to agree to an IVA - and if you do enter one, it will have a negative effect on your credit rating. Second, we can get your IVA started. We can do everything it takes to get you started on an IVA. It's a complicated process, but our IPs (Insolvency Practitioners) have the experience to help you get off to a good start. Third, we can help you until the day your IVA is over. Once your IVA is up and running, you won't be on your own. 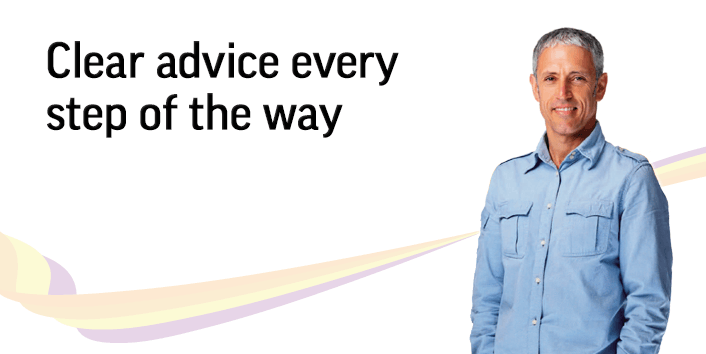 All the way through, you'll have experts providing advice and help when you need it. You'd also need to be living in England, Wales or Northern Ireland. If you live in Scotland, alternative to an IVA is a Trust Deed. If you do qualify, your lenders still need to agree to an IVA before it can go ahead. There is no guarantee that they will. Plus, you need to be aware that an IVA will negatively affect your credit rating for at least six years. 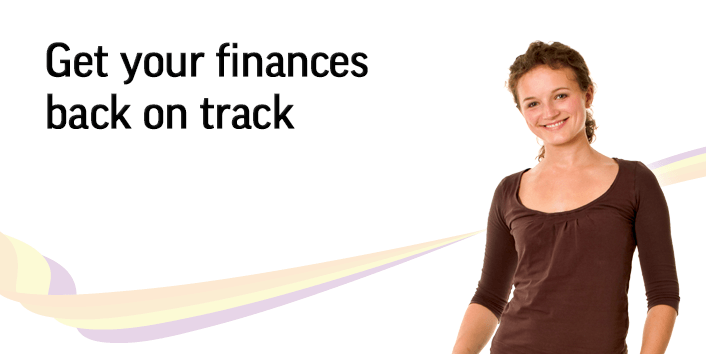 Even if you don't qualify for an IVA, we could still help you with your debts. Talk to one of our experts on 0161 672 8990 or request a call back and we'll call you. Free up the money you need for mortgage/rent, food, clothing, utilities, etc. You'll have to keep up with your mortgage / rent payments, as they're not included in the IVA. If you are a homeowner you may need to remortgage. A remortgage may attract a higher interest rate and if a remortgage is not available the IVA may be extended for 12 months. If you're thinking about an IVA, you're bound to have questions about it. We can answer your questions. We've been helping people tackle their debts with IVAs since 2003 - and all our Insolvency Practitioners are members of the Association of Business Recovery Professionals (known as R3). Whatever you need to know, we can help. IVAs and bankruptcy are different kinds of insolvency - different ways of tackling serious debt problems. They can both give you legal protection from your lenders - and they can both actually write off unsecured debt, meaning you may not have to repay everything you owe. Note that you'd need to uphold your side of the agreement to get the full benefit of insolvency. IVAs and bankruptcy work in very different ways and come with different 'pros and cons'. You'll need to talk to an expert before you know which one's more appropriate for you, but in the meantime, click here for a look at what they involve, how they're different - and which one might be the best way for you to tackle your debt problems, or if there is another more suitable solution. For a full list of all our IVA articles, click here to visit our IVA Advice Centre.